While road race action was taking place at the Lloyds Bank Cardiff Half Marathon, Bank of Scotland Great Scottish Run and the ERRA National Road Relays, there were other top performances both in the UK and overseas. 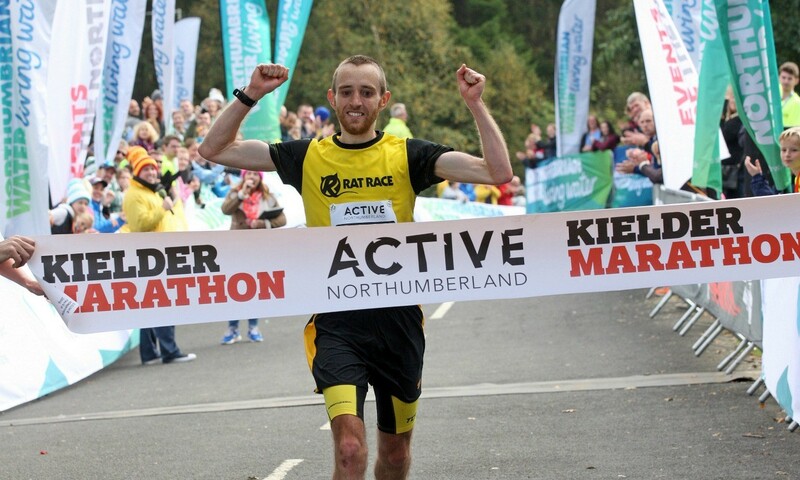 Matthew Jones (pictured) clocked 2:43:02 and Gemma Bradley 3:21:53 to win the tough Kielder Marathon. Karl Taylor with 74:35 and Debra Crozier with 93:14 claimed the inaugural half-marathon titles. The 10km event was won by Lee Cuthbertson (35:27) and Jessica Fox (41:02). While Tonbridge’s men won the senior event, the club’s under-17 team also pulled off victory. Thomas Dodd of Birchfield was fastest with 11:43. Aldershot had a disappointing weekend in the senior races but did win the under-17 women’s race easily. Windsor’s Morven Goodrum had an astonishing final leg and her 13:10 was the fastest by half a minute and moved them from 14th to second on the final leg. Shaftesbury Barnet won the under-15 boys race with Jamie Harper taking them into the lead on the final leg. Lachlan Wellington of Portsmouth was fastest with 12:04. Herne Hill won the under-15 girls race with their Lucy Olsen easily fastest with 13:38. Keighley & Craven were first in the under-13 boys race with Kettering’s Dylan Bowley the quickest with 13:37. Wreake & Soare Valley retained the under-13 girls title. Femke Rosbergen of Norwich’s 14:09 was the quickest leg. Tom McCook’s report and David Griffiths’ photographs will appear in this week’s AW magazine. Over 11,000 took part over the weekend, the marathon being an IAAF Bronze Label Road Race. Kenyan Boaz Kiprono won in 2:16:00, breaking the course record by 41 seconds. Latvian Valerijs Zolnerovics was second in 2:17:49 with Kenyan Japhet Koech third in 2:21:19. The leading British runner was George Gurney of Avon Valley in fourth in 2:29:04. In the women’s race, Kenyan Joan Kigen, who was runner-up in both 2013 and 2014, won in 2:36:47, well clear of Belgrave’s Sophie Carter who moved through to second in 2:56:43. Kenyan Purity Kimetto was third in 3:00:53. Further details and photographs will appear in this week’s issue. Kenya’s Dominic Ondoro clocked 2:11:16 and Serkelam Abraha of Ethiopia 2:31:40 for victory. Molly Huddle ran a course record 51:44 and Sam Chelanga clocked 46:47 to win the 10 mile event which also incorporated the US Championships. Samuel Kosgei, the Kenyan former world 25km record-holder, won in a PB 2:07:07. David Rigby won the men’s race in 2:24:47 for his first sub-2:30 run and to improve on last year’s fifth place. Sam Amend won the women’s race in 2:49:09. Further details and photographs from Harry Shakeshaft will appear in this week’s issue. Former Commonwealth champion Jo Atkinson achieved her fastest time for four years and set a UK lead of 1:33:43. Bethan Davies went third Briton all-time with a big PB of 1:36:07. Adrian Edwards won the men’s 50km walk in 5:39:26 as only four of the 12 starters finished. Maureen Noel won the women’s race in 5:55:00. Under-17 Chris Snook won the 10km in 50:27 while junior Emma Achurch won the women’s 10km in 54:00. Britain’s Sarah Tunstall and Andrew Douglas won the WMRA Mountain Running World Cup following their performances at the final event in the six-race series, the International Smarna Gora Mountain Running Race. Further details can be found in an online report here.